Remember the 5 Series GT? That big ugly thing with a fat back. It's fair to say it wasn't a high point for BMW design. But now there's a replacement on the way. Which isn't quite as awful looking and has a different number on the back. It's now called the 6 Series GT (or Gran Turismo) and is designed to 'set new levels of comfort' while still being 'dynamic' to drive. That's what BMW says anyway. Prices will start at £46,810 and rise to £57,570 for top models. It goes on sale in the UK in November. Standard equipment will include automatic climate control with an option to scale up to a four-zone system. Standard metallic paint is available in ten finishes along with two non-metallic paint finishes. Standard wheels are 18-inch alloys but as you'd expect, you can opt for bigger ones up to 21-inch. 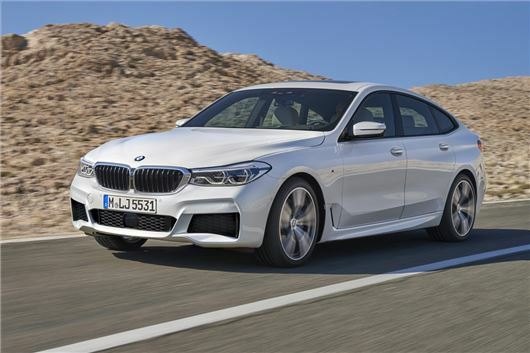 Engines will include the entry-level 630i, powered by a 2.0-litre petrol with 258PS while the 640i xDrive has a 3.0-litre six-cylinder engine and will cover 0-62mph in just 5.3 seconds.